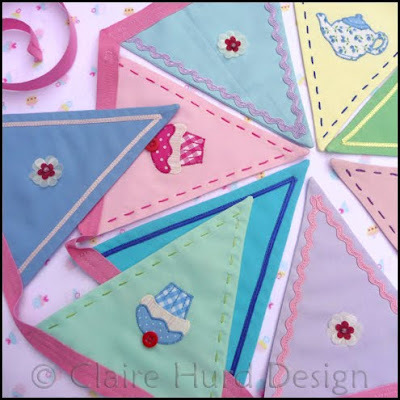 I have been making cheery teatime themed bunting recently and finally listed it in my Folksy shop today. This perfect addition to any party or picnic has teatime themed appliqué motifs, ribbon, ric-rac trim and hand-embroidered detail. There are nine carefully handmade and decorated flags on each length of bunting. 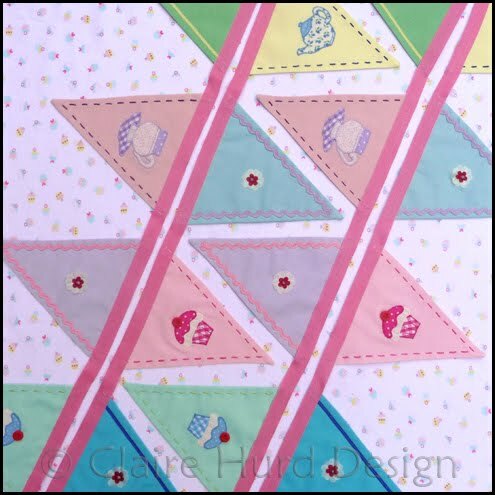 The flags have been secured 3cm apart creating a lovely fluttering of colour on the sugary pink tape header. Each flag measures approx. W.14cm by H.15.5cm. The total length of the bunting (excluding ties) is approx. 148cm and the generous ties at each end measure approx. 38cm. 'De-Stashing' - I love that term! 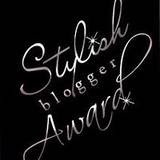 I had not come across it until I got engrossed in the world of crafty bloggers. It always makes me smile to read it. 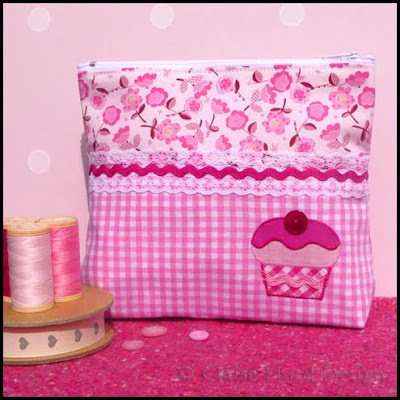 It seems all of us arty crafty folk are the same; hoarding fabrics and papers, trims and ribbons, anything in fact! More than we will ever need but materials we cannot bear to be parted with. Every now and then comes a 'de-stash' moment when you realise that if you ever want to buy more gorgeous materials you are really going to have to use up some of what you already have. Okay, so this is going to make very little impact on the space I have available on my fabric shelves, but I have been hoarding this wool felt since University! It was a small pack of wool felt samples just 3" by 4". I love the quality which is why I have kept them all these years. Today I finally decided to use them up and I have been making floral brooches with hand-embroidered detail. It has been good fun and I still have a little of the felt left so I shall be making a few more soon. 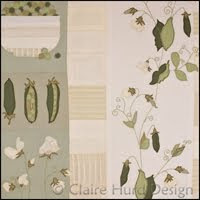 Today is a good day for Claire Hurd Design! My personalised Elephant baby bib has been featured on the Cuteable blog for Flickr Friday. My framed boat artwork has been featured on the Quite Contrary Crafts blog as part of a seaside themed Folksy Friday treasury. My framed personalised cupcakes artwork appears in 'Today's 40 Favourites' on the Not on the Highstreet website. 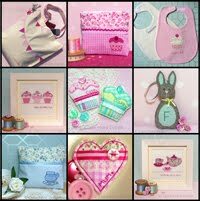 Thank you to everyone for featuring me, I am so pleased that you like my designs. I have been experimenting with making fabric roses with the idea of using them as decorations at my wedding. The roses I have made are based on a pattern from the book 'Sew Pretty Homestyle' (ISBN-13:978-0-7153-2749-4) which I have tweaked slightly. 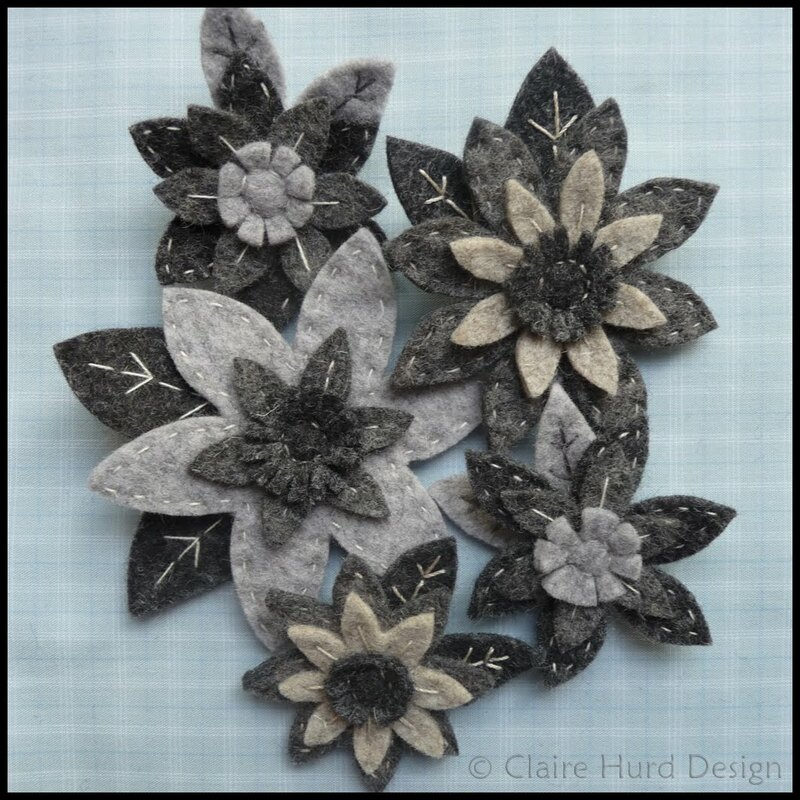 I have been experimenting using fabric scraps from my stash to help me decide what quality I want to use for the final flowers. 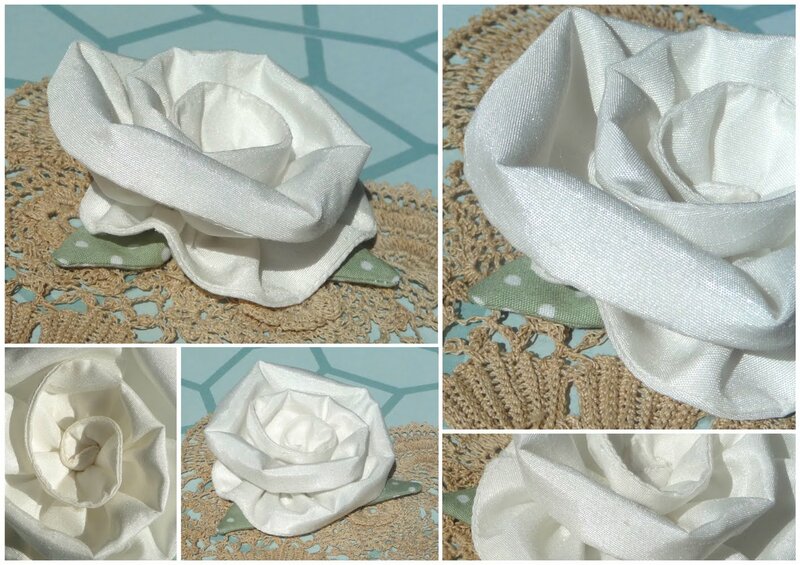 The cream roses above look nice but are rather tough to sew by hand. The roses below are softer but the fabric frays badly making the seams less secure. I think I need to try a softer fabric with a fine Vilene backing and see how that looks. I altered the pattern more for these silver roses making them easier to gather and giving the leaves a more rounded appearance. I have added brooch backs to these samples. 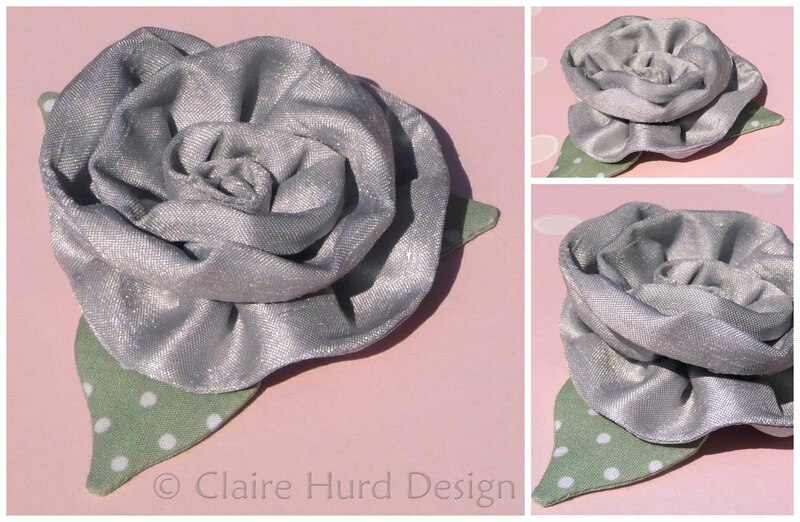 The silver rose will be appearing on my grey jacket very soon! 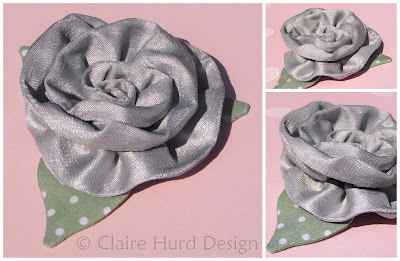 I am rather enjoying creating these and think I may be listing fabric rose brooches in my online shops very soon! 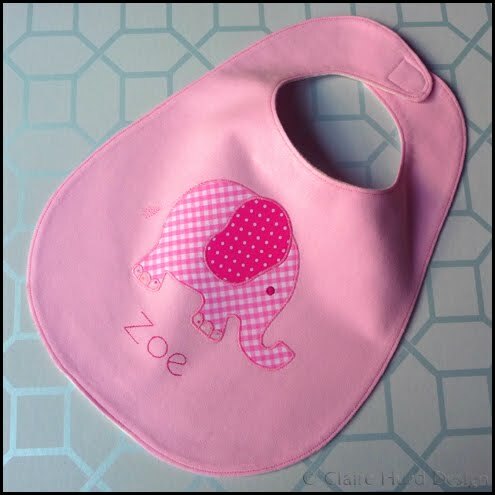 I have been designing and making new baby bibs recently to appear in my online shops. 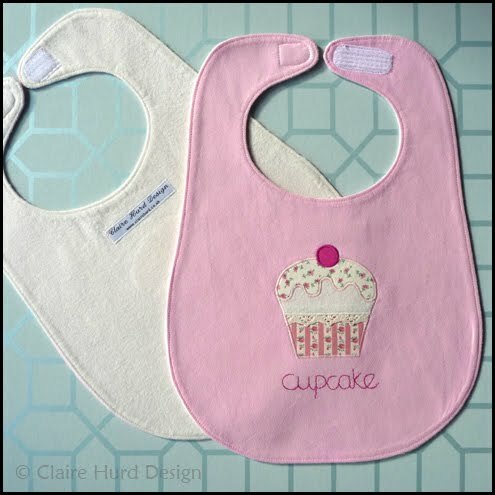 I have had some great feedback from Facebook fans regarding their preferred fastening method for baby bibs (velcro) and have a bib sample I am sending to a friend to do a user trial for me. I want to be sure that all details are right, such as does the bib wash nicely (I have washed it a couple of times already but only from clean and not after a baby meal! ), does the amount of velcro I have used hold well and is the size good? As soon as I have some more feedback and have secured a plentiful supply of the base fabrics I shall be listing these. 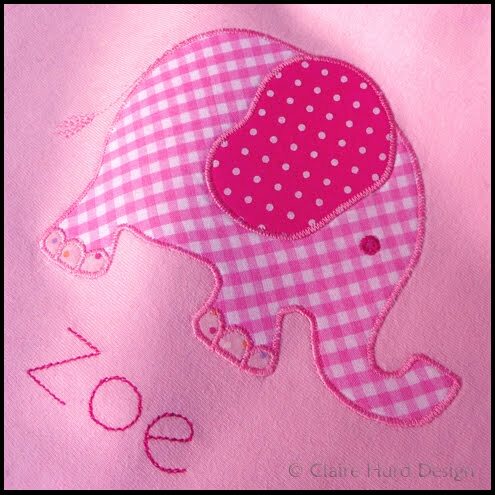 I have used a soft cotton jersey for the face and a brushed cotton reverse for both designs. I used 'anti-snag' velcro for comfort and have made the bibs nice and wide to keep baby as clean as possible. I have also been experimenting with making my own baby blankets and am quite pleased with the results. I shall share pictures with you as soon as I have some. At the moment my little niece has the blanket to see if it gets her seal of approval! 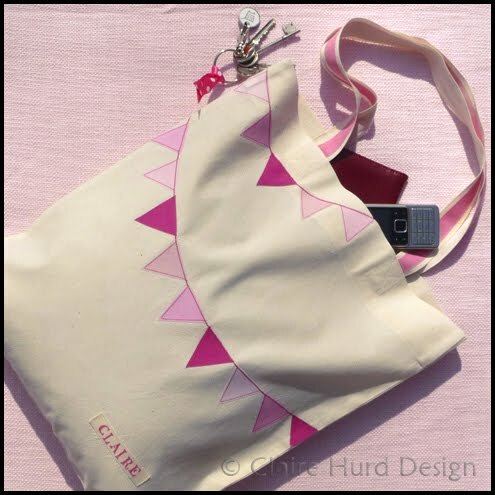 My Bunting Bag was featured on Amanda Lincoln's creative blog today. It seems she has a thing for bunting at the moment; it must be the lovely sunshine we are having bringing cheerful thoughts of summer fêtes and garden picnics! 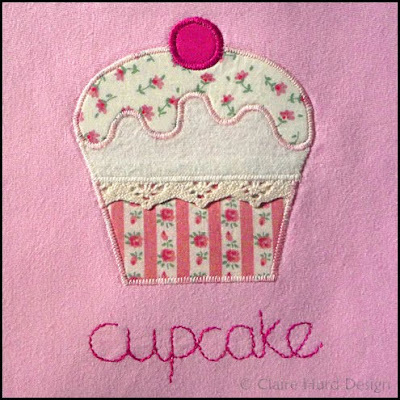 Delicious Fabrics and Buttons Galore! Here are the lovely fabrics I bought whilst in Truro. It was very difficult to narrow my purchases down to just these as the shop had such a wonderful selection. 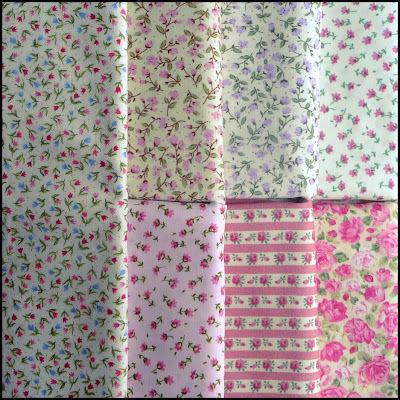 I also bought some more base fabric for my personalised embroidered artworks and a gorgeous new Liberty print fabric which I am not going to show you as I want it to be a surprise when I launch a new colourway of my personalised make-up bags in the summer! These ditsy floral fabrics were bought locally before Easter. Along with the lovely selection above they will make great appliqué fabrics for my artworks and baby blankets. I recently inherited my Grandmother's button tin and her china tea set. These are really precious items to me and I have loved looking through the buttons again, enjoying all of the happy memories they bring. We used to play cards for buttons with my Grandparents and the tin also has other little surprises in it from our game playing such as plastic counters, homemade dice and even a tiny plastic jockey! Looking through all of those buttons (the photo shows just a few from the tin) also reminded me that I haven't shown you my handmade buttons yet. I recently took part in a button swap organised by Feeling Stitchy. I have long intended to make embroidered buttons for my shops but these were actually the first I have made for someone else. The embroidered details were taken from my existing design work with summertime in mind. I am really pleased with how these have turned out and thoroughly enjoyed making them. 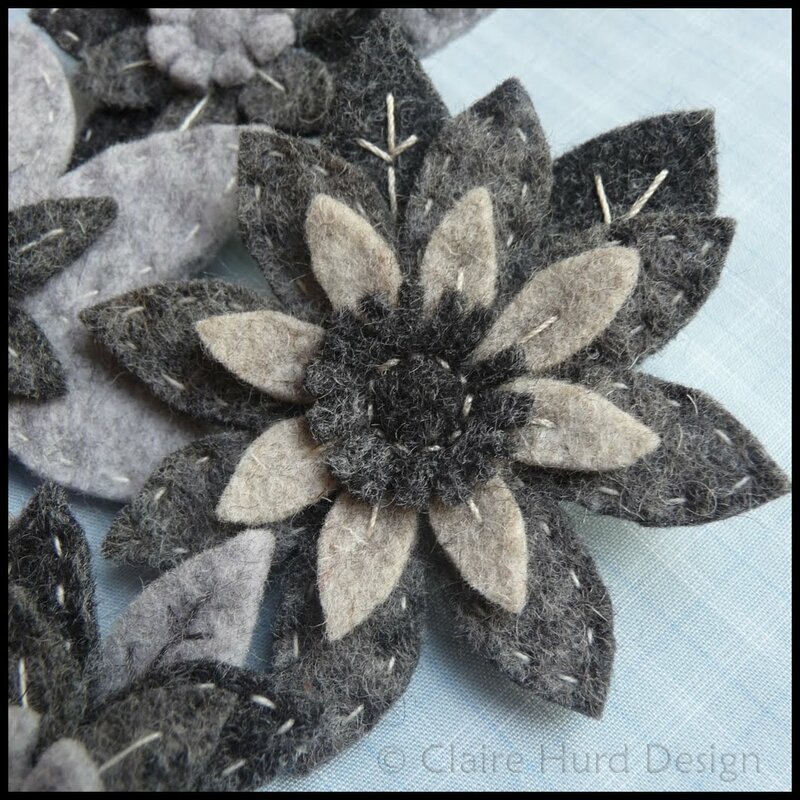 Watch this space, handmade buttons may well be my next crafting obsession! I hope you have all had a lovely long Easter weekend break. I went away to Cornwall for a lovely weekend of fresh air, good company and good food! I took the opportunity whilst there to stock up at Truro Fabrics. If you are ever down that way you must pop in, the shop is huge! It was very difficult to come away with just a few fabrics as I wanted a bit of everything! The fabrics I finally chose are in the wash at the moment so I shall share them with you later. 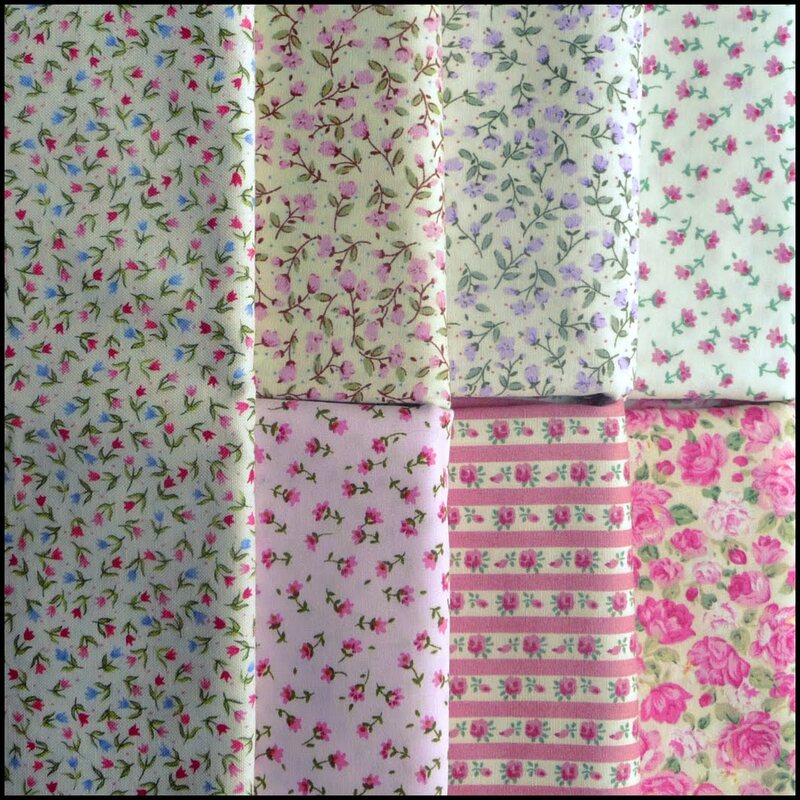 I am running low on some of my favourite fabrics but I do still have some pretty ones that need using up. I have added the above make-up purse to my online shops to make use of that cheery pink floral fabric. 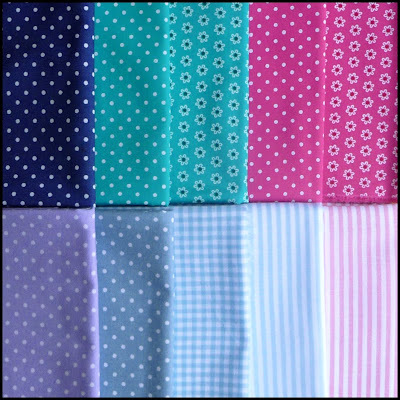 I also love to use gingham, it is such a simple but fresh and pretty fabric. This cake-lover's make-up purse measures approx. W. 15.5cm, H. 14.5cm, D.4.5cm making it perfect for keeping in your handbag for every day use. You can purchase it HERE.